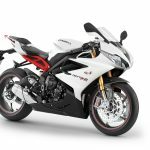 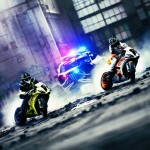 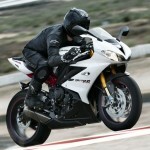 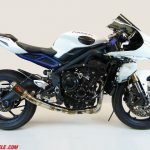 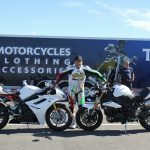 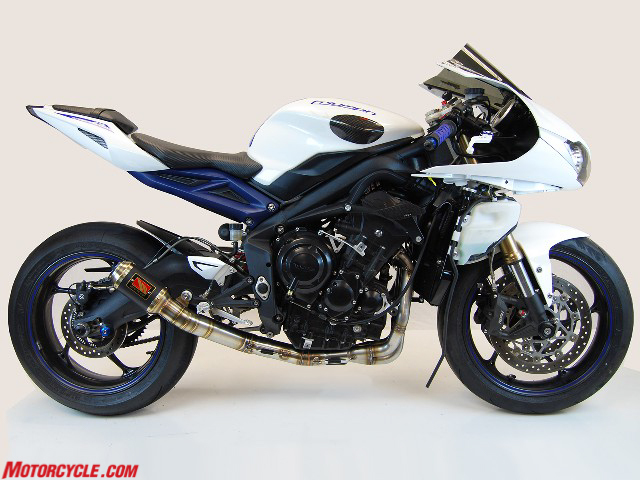 Competition Werkes has just released its first full exhaust for a full-size motorcycle, the Triumph Daytona 675R. 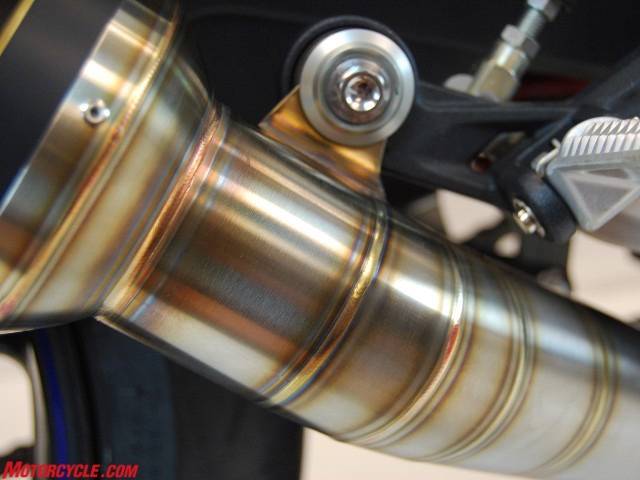 It looks like a nice piece, too, with MotoGP-like welds. 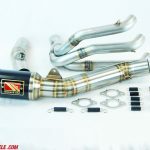 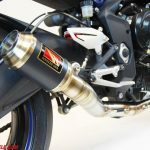 Competition Werkes of Sutherlin, OR, has just released its first full race exhaust system for a full-sized motorcycle. 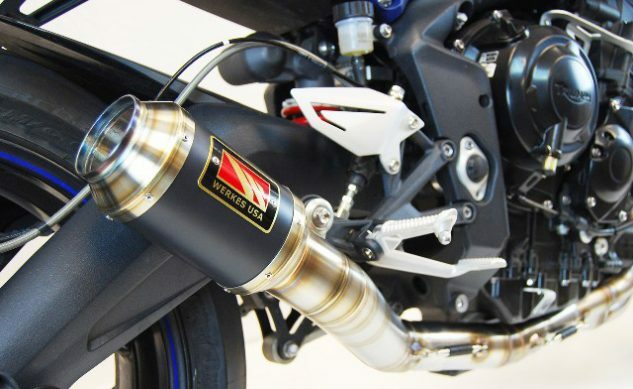 The market leader and first-ever manufacturer of motorcycle rear fender eliminators, Competition Werkes added exhaust slip-ons to its line of products in 2006. 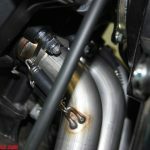 Designed and built specifically for the 2013-2016 Triumph Daytona 675R, the GP Full System Race Exhaust is hand-built entirely of high-grade stainless steel. 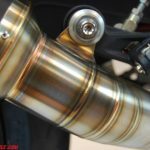 Instead of bending the pipe and creating weak spots after the header, Competition Werkes chose to weld in conical pieces of pipe just like MotoGP exhausts. 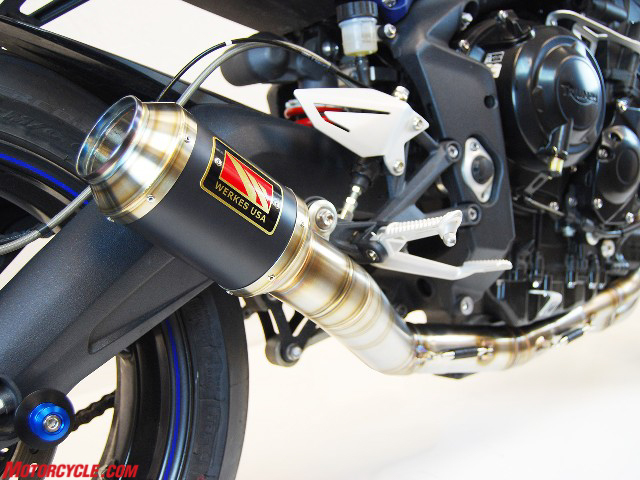 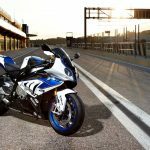 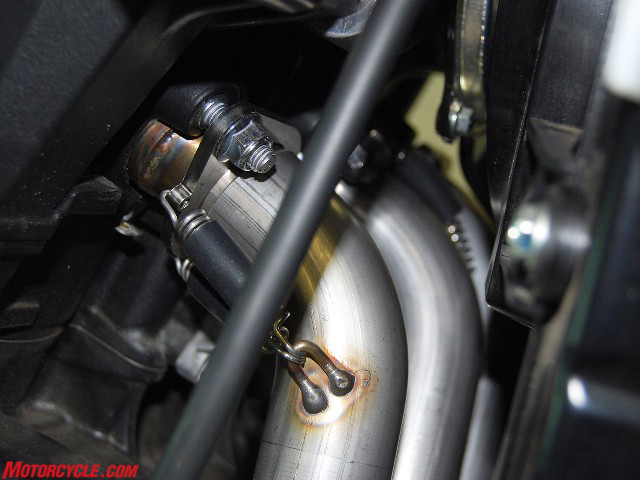 The Competition Werkes GP Full System Race Exhaust for the 675R is 11 lbs. 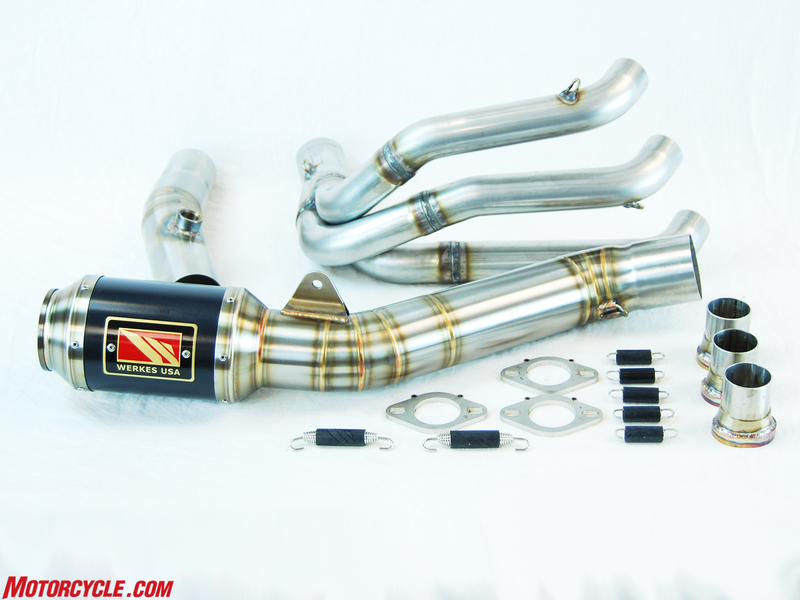 lighter than stock and provides increased horsepower and torque at virtually all rpm.